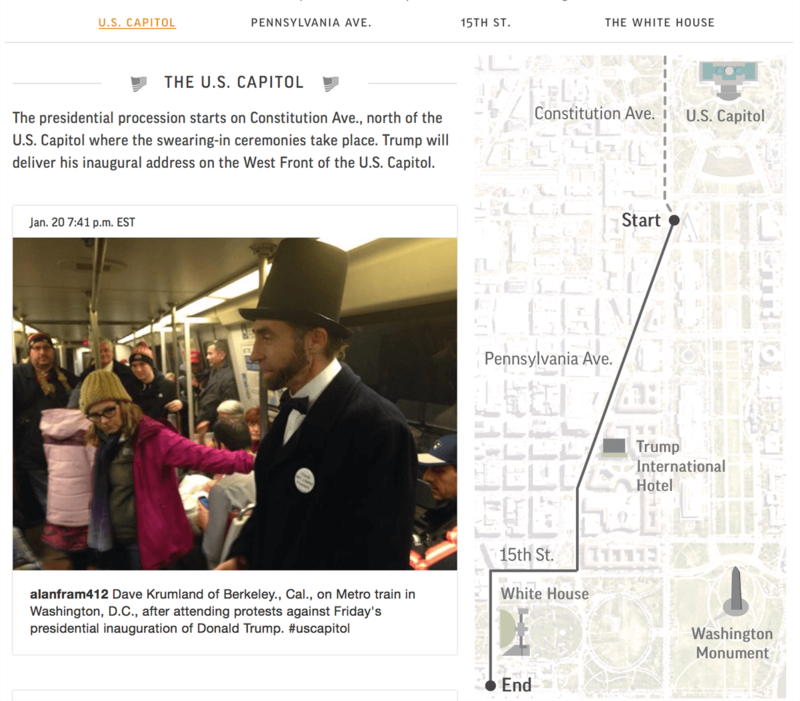 The project serves as a live dashboard of happenings around the National Mall on the inauguration day. 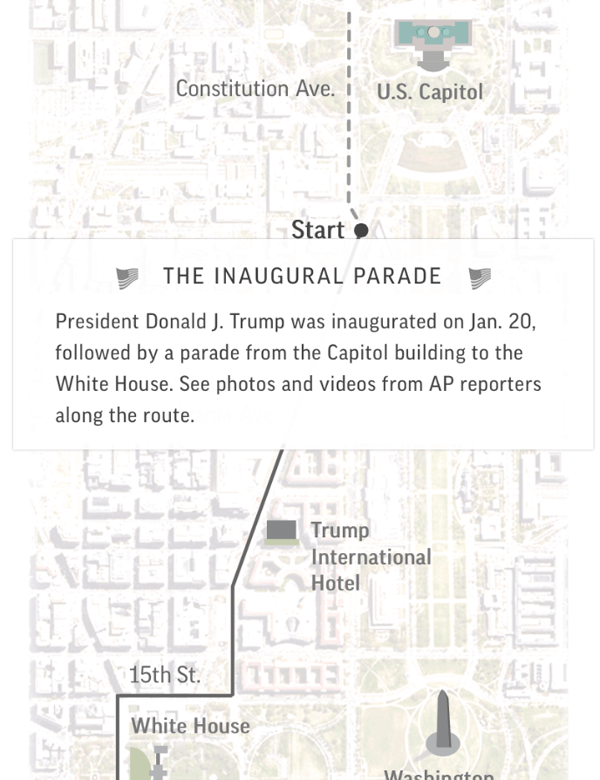 Six AP political reporters and photographers took Instagram photos and videos along the inaugural parade route. 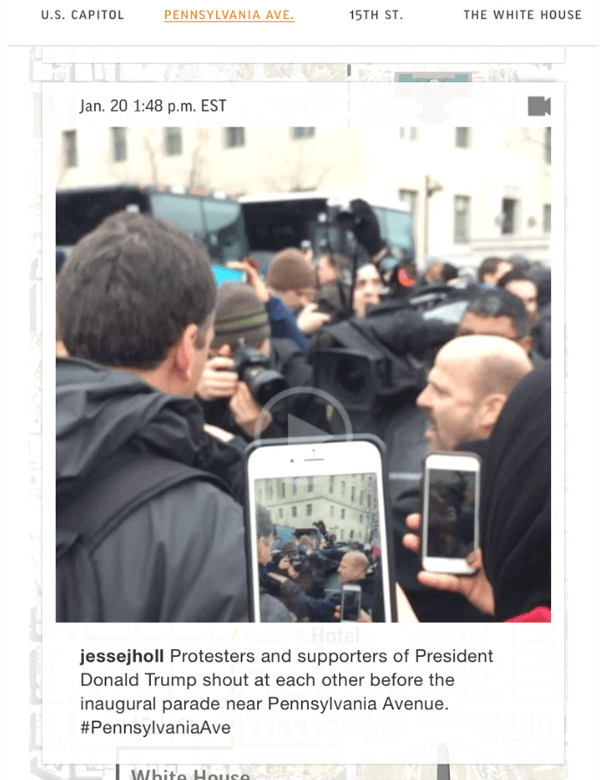 We pulled them through the Instagram API and matched them with key locations on an interactive map.